Android 7.0.0 codenamed Nougat is the latest edition of the world’s most popular mobile operating system. Released in August 22, 2016 for Google’s Nexus devices it has been already discussed a lot about it’s native multiwindow support, improved 3D graphics and even smarter battery optimizations. 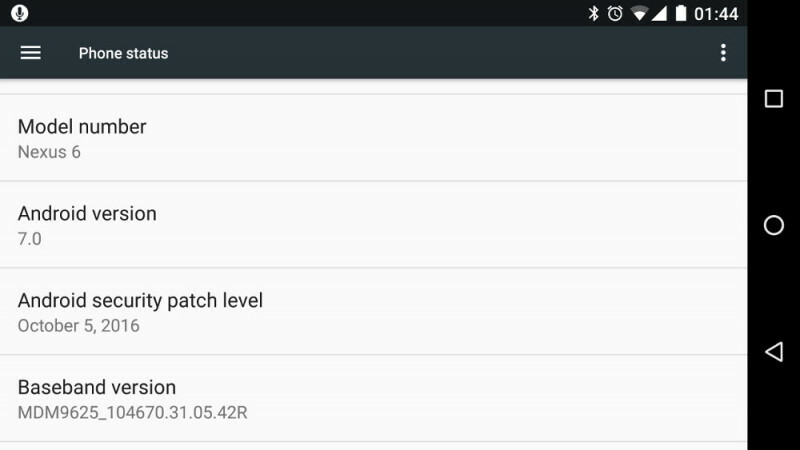 If you own a Nexus device, you probably received OTA update already. However, if nice Nexus device is rooted, those updates cannot install automatically because recovery partition is overwritten with something as fancy as TWRP. Here is my tutorial how to upgrade Nexus 6 (shamu) to latest version. Actually it is universal walkthrough for both 6.0. * (Marshmallow) and 7.0.0 (Nougat). Let’s start! First make sure you install ADB and download Android image for Shamu: shamu-nbd90z-factory-92e7bb05.zip which is Android 7.0.0 (Nougat) also tagged as NBD90Z. When writing this walkthrough I was upgrading my Nexus 6 from MOB31E which is last Marshmallow version (6.0.1) before October 2016. This guide is intended for use on Motorola Nexus 6 (shamu) device which has TWRP installed and rooted with SuperSU. It should work on most Nexus devices just make sure to use appropriate images, but the whole procedure is similar. Before you begin read rooting guide to make sure you’ve got TWRP and have SuperSU 2.76 on USB OTG drive. Ensure USB debugging is enabled in the phone by checking Settings > Developer options > USB debugging. Now power off device and restart to bootloader by holding POWER + DOWN. Select RECOVERY MODE and wait for TWRP to load. 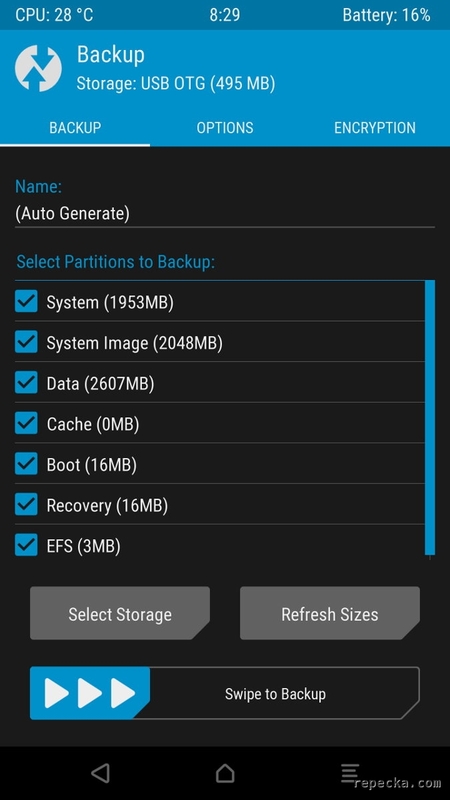 In TWRP tap Backup and at “Select Partitions to Backup” check at least Data partition. In Select Storage make sure USB OTG is selected. Swipe arrows >>> at “Swipe to Backup“. Now wait a few minutes to complete. When finished reboot to system and plug phone to computer. Optimizing app 16 of 97. Unplug USB, plug USB OTG with flash that has SuperSU zip and then hit Down until POWER OFF. Hold Power + Volume down to start device and Volume down to RECOVERY MODE. TWRP loads. 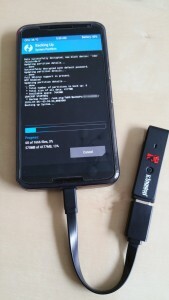 Install SuperSU using TWRP´s Install function as described in rooting guide.